We are excited to introduce JR Surfboards’ newest model, the Second Cousin, now available for custom orders with direct shipping across Europe. 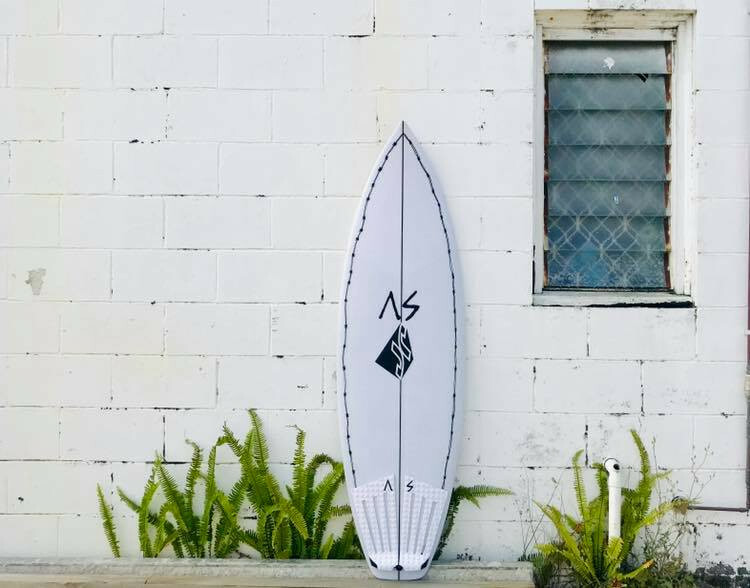 In 2018 Jason Rodd has worked on reviving one of his best performing Summer model's to date, The Step Cousin, and adding in some key elements of one of his all-time favourite small wave boards, The Boxsta. We welcome to the JR family, The Second Cousin. The Second Cousin has slightly less curve in the rocker throughout the tail, and a wider mid-point, which then carries the added width subtly out the tail. The added width matched with the flatter rocker enhances the speed and glide feel of the board, the result making a more effortless ride, while not sacrificing performance. By running with a similar depth single concave under the front foot, and using the same double concave from the Boxsta throughout the tail, gives the Second Cousin added drive while surfing, making rail to rail transitions smoother, and more controlled. Jason decided to run with the same medium boxy rail that he used on the Step Cousin, and found this rail to be the perfect balance of forgiveness and bite. The second Cousin comes standard with a square tail - by squaring the tail off, this has extended the rail line about ½ an inch, adding drive and giving the board the feeling that it surfs longer than it is. Not unlike the Step Cousin, all these attributes combine to make this model suited to a wide variety of surfers. Orders at 214 850 854 / geral@xhapeland.pt.